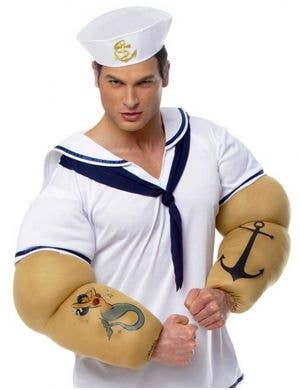 Popeye the Sailor Man…. He lives in a garbage can??! 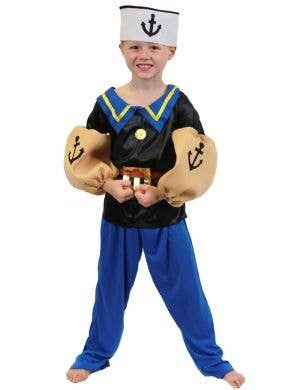 Embrace the lovable animated cartoon and comic book character in your very own adult Popeye fancy dress costumes. 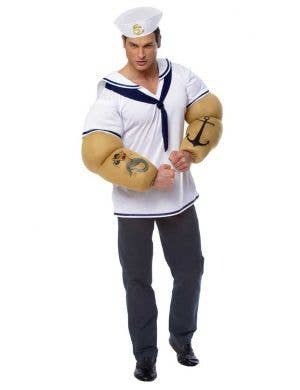 Whip out a pipe and let loose with a trademark Popeye 'Toot!' 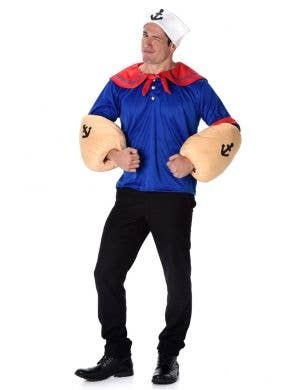 or gobble some spinach (can and all) while you uncover villainous plots! 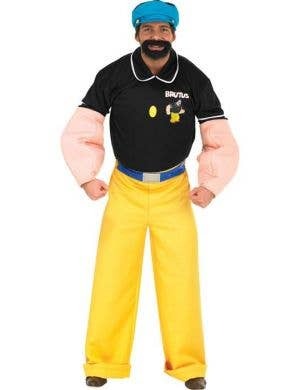 Officially licensed Popeye outfits are right here at Heaven Costumes including other popular characters Olive Oyl and Brutus so you can finally sort out this on-going love triangle! 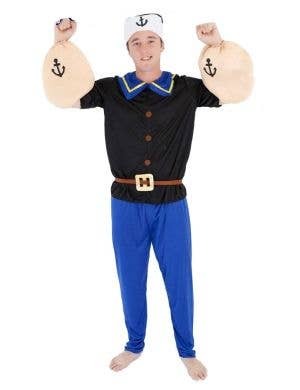 Popeye costumes are a fabulous, colourful way to celebrate your favourite cartoon or tv show character fancy dress party.